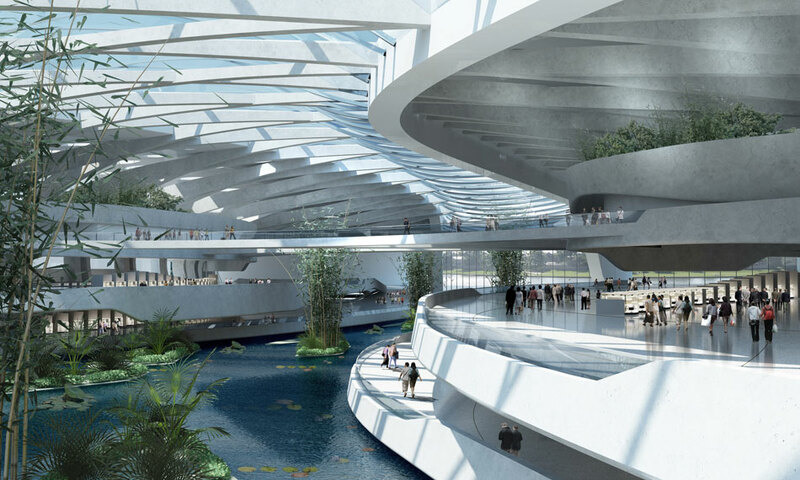 As part of the Ideas Competition, the team created an iconic boundary crossing facility, the gateway for a 20-mile bridge linking three regions in the Pearl River Delta: Hong Kong, Zhuhai, and Macao. 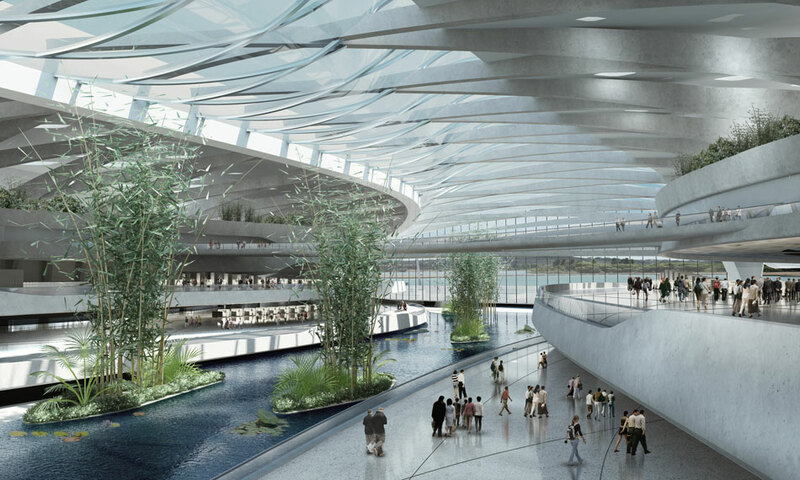 The project parameters were limited to a man-made island of 1.3 million square meters in the Pearl River Delta, northeast of the Hong Kong International Airport. 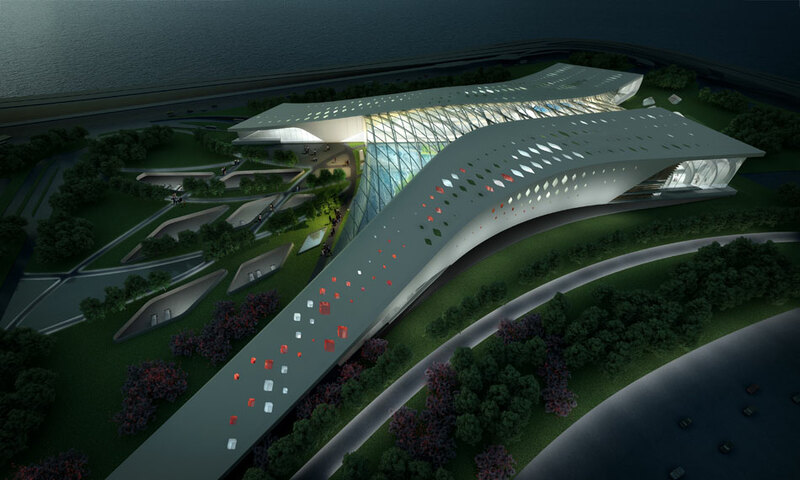 The design was formed in direct response to the traffic and circulation flow patterns of the facility users. 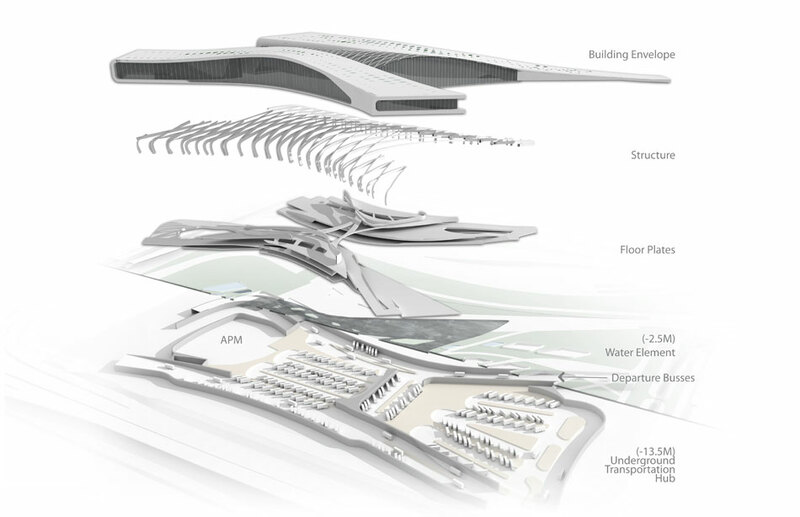 It defines the experience by linking the offset buildings of arrival and departure with a central canyon element. 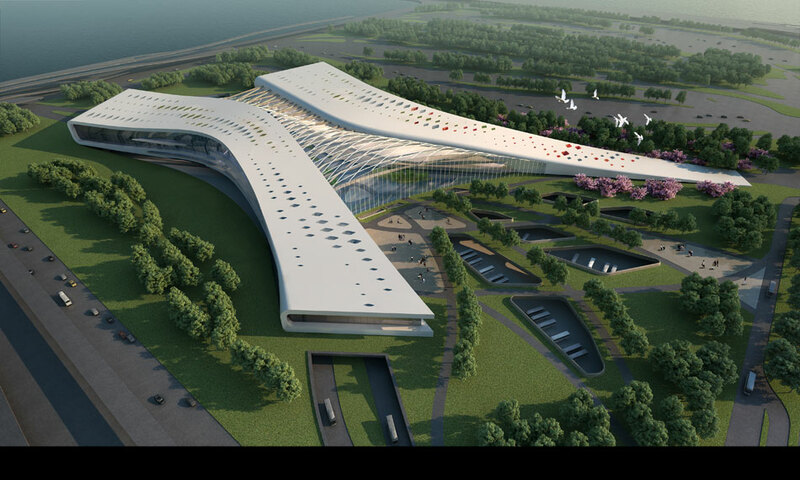 What could be at once a hectic, rushed experience of customs, queues, and kiosks, is instead, a relaxed, tranquil space that maximizes functional efficiency, while also inviting visitors to explore the natural beauty that makes up Southern China. 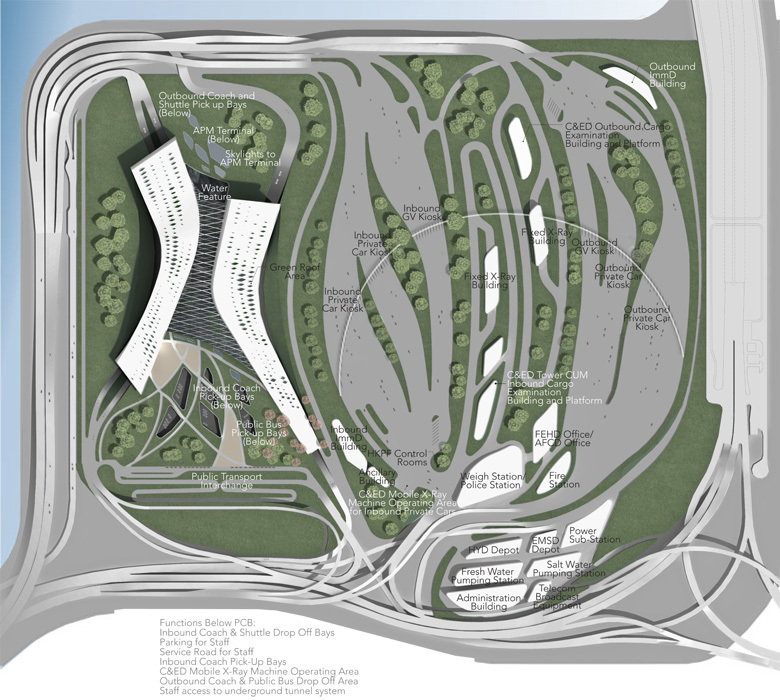 Click on thumbnails to open windows with larger images.